So, vintage-clothing lovers, women and men, here’s a list to make it simple. 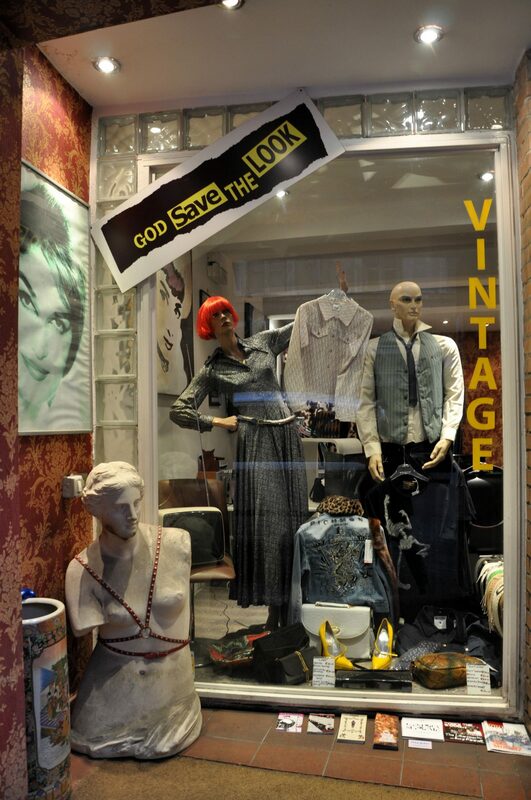 Just remember that, in Rome, vintage doesn’t necessarily mean cheap, at least when compared to the High Street chains. Most of the shops below have dresses that range from €40 to €60, purses from €30 and up. Still, hunting for a bargain—or, at least, for that blouse that nobody else will possibly have—is all part of the fun. Twice. Trastevere. 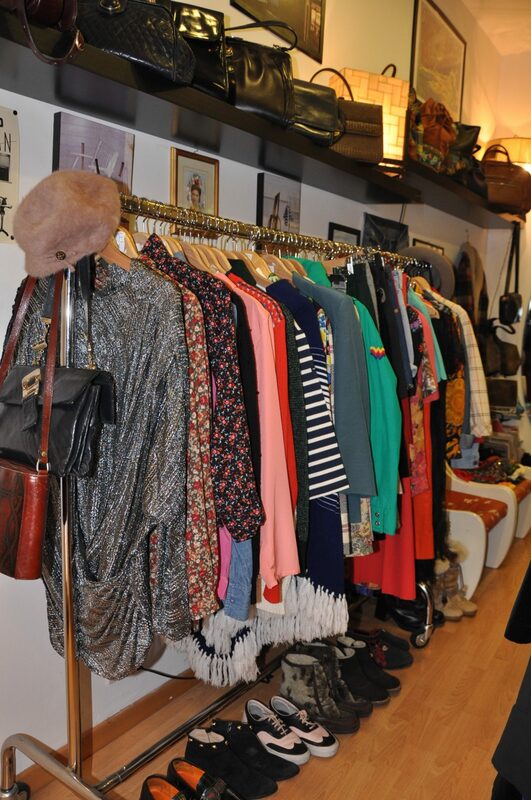 This is one of my favorites (above): A cute, neat shop with all of the vintage clothes and none of that musty smell. Clothes, shoes and accessories are for men and women, most dating from the 1960s to 1980s. I even found a vintage Chanel purse here in pristine condition; at only €250, I had to ask the shopkeeper if it was real. She assured me it was. I was even sadder to leave it behind. Pretty crazily for a Rome store, Twice also has shopping online (well, sort of: you scroll through the pictures of items and, if you want to buy one, clicking lets you send an email. So far, it’s just of purses). Still, whoa. Via di San Francesco a Ripa 105/A. 0631 050610. Blue Goose (new!). Monti. A well-edited collection of vintage women’s clothes, bags, shoes, and jewelry, many of them designer, at good prices. Cute little boutique and a lovely owner, too. Opened in fall 2012. (Read more about Blue Goose). Via del Boschetto, 4. +39 0648906738. King Size Vintage (new!). Monti. This store’s original location is in San Lorenzo, but this new outpost, opened in fall 2012, is even more convenient for travelers in the center. 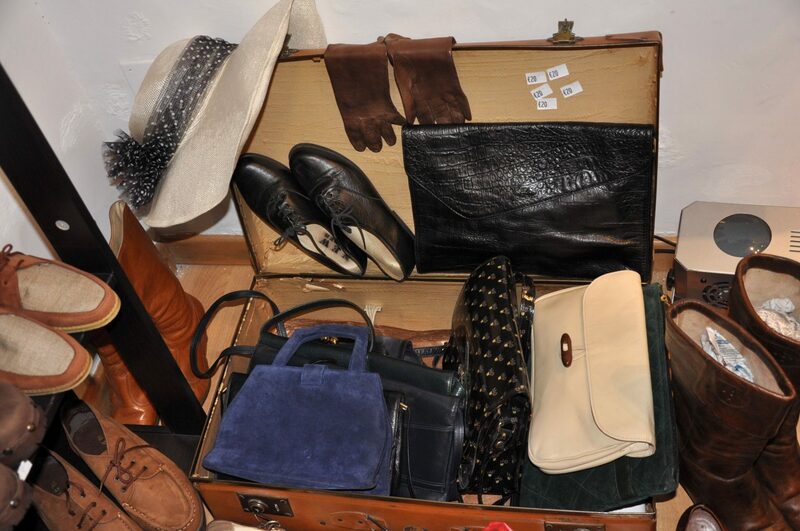 The collection includes both men’s and women’s shoes, bags, and clothing. There’s definitely an element of treasure-hunting here, but it’s nice that the collection, though big, is displayed in a nice, organized way. (Read more about King Size Vintage). Via del Boschetto, 94. Cinzia’s. Piazza Navona. Run by the owner, Cinzia, for more than 20 years, the store has a big collection of jackets, dresses, purses and more at reasonable prices (one friend got a gorgeous lizard-skin-like purse for €40). Tourists, students and locals all wander in and out, trying to find the best deals. Via del Governo Vecchio 45. 0668 32945. That other store by Cinzia’s. Piazza Navona. Nobody ever remembers the name of this secondhand shop on Via del Governo Vecchio, but luckily, it’s so easy to find, you don’t have to. A bit larger than Cinzia’s, it’s also more crammed, with shelves overflowing with leather purses and boots. The prices are comparable, and so are the goods. Via del Governo Vecchio 35. Bohemienne. Campo dei Fiori. Almost literally closet-sized, this small store feels more like a boudoir (well, if a boudoir were packed with men’s tweed jackets and musty hats along with lovely sandals and blouses) than a shop. Prices are slightly on the higher end. Via dei Capellari 96. 0668 804011. God Save the Look. Monti. Another favorite (above): The collection here is highly-edited, without the heaps of stuff that characterize some of the other shops, but that means you’re all the more likely to walk out with the goods and still not feel overwhelmed. I fell in love here with a salmon-colored 1950s or 60s cocktail dress with a sequined bodice (€65) and a diaphonous white button-up dress from the 1940s (€60). The style here is more classy and trendy than funky and costume-y. Via Panisperna 227A. 0648 25211. Pifebo Vintage Shop. Monti. It’s hard to avoid this store if you’re walking around Monti. It has that funky-grandma’s-closet feel, with everything from cowboy boots to sequined blazers hanging up. And it smells a little musty, but the prices are moderate and the selection pretty eclectic, so we’ll forgive them for it. Via dei Serpenti 141. 0689 015204. Pulp. Monti. 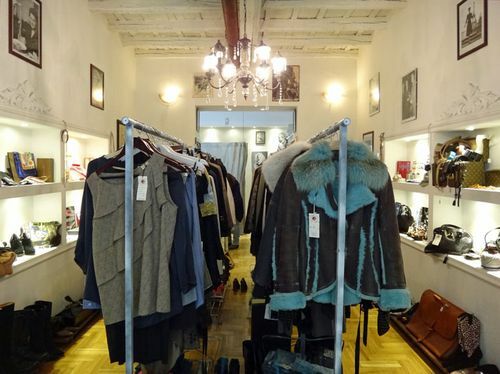 Another one of the well-edited stores, this is a vintage store with a trendy, almost punk-rocker streak. The prices are cheap, and the designs are hot. Via del Boschetto 140. 0648 5511. Shopping lovers, which stores did I miss? Want to know more of Rome’s vintage shopping secrets (among other hidden gems)? Check out The Revealed Rome Handbook: Tips and Tricks for Exploring the Eternal City, now available for purchase on Amazon, below, or through my site here!